Water is the elixir of life and a priority on any overland journey. We need at least two litres per day just for drinking, before we can even consider washing grime off our skin, brushing our teeth or tackling the dirty dishes. Although some tannins in water have a nasty taste, and some may discolour surfaces, water is also the perfect breeding ground for a wide variety of bacteria, parasites and viruses that can ruin a trip − or even end your life. But, for the well-equipped overlander, there are many filtration options, each with its own pros, cons and limits. In this article, we explore some of the most common and effective water filtration methods and systems. This is perhaps the most effective method of killing any living organisms or bacteria in the water. You won’t be able to remove a nasty taste or chemicals, even if they come from a puddle, but at least you can be sure that you won’t get the trots. If you want to remove all possible impurities, boiling the water and allowing the steam to condense and flow into another container – in effect, creating a distiller – cleans any water. This method even removes salt from sea water. 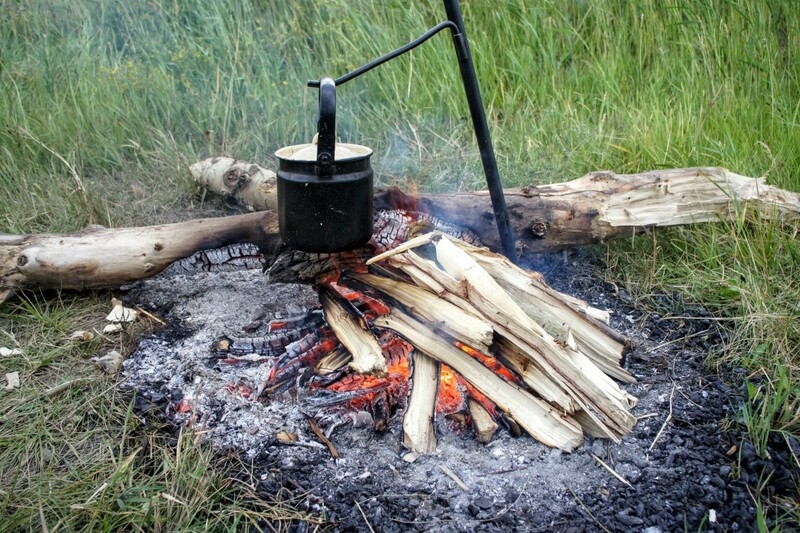 One drawback to boiling is the time and fuel it takes, as actual boiling time should be at least two minutes to be effective. If possible, always boil the water and then use your method of filtration afterwards, being careful not to contaminate the clean water with any tainted water. Bacteria in water grows in the sunlight close to the surface as well as in sludge or mud near the bottom, so try to get your water a few centimetres below the surface, but avoid getting too close to any sludge or mud at the bottom of the water source. Although running water is safer than still water, any dead animals or stagnant pools upstream may be cause for concern, so don’t trust all mountain streams. If boiling the water is not possible, a combination of filtration and chemical disinfection is the most effective method of pathogen reduction. Common chemicals for treatment include iodine, chlorine or chlorine dioxide. These are available in tablet or liquid form and are a popular and affordable way to purify water. Unfortunately, the bad smell and taste they impart is off-putting to most people, despite their being perfectly safe. The duration of chemical treatments may vary, as will the quantity of chemicals you need to add, so follow instructions carefully. 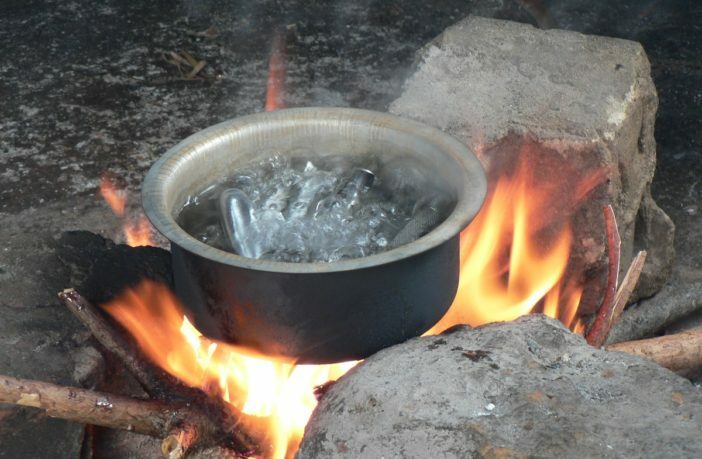 The benefits of purification tablets are their ease of use, their portability and the fact that they don’t need any energy to be effective (compared to boiling water). 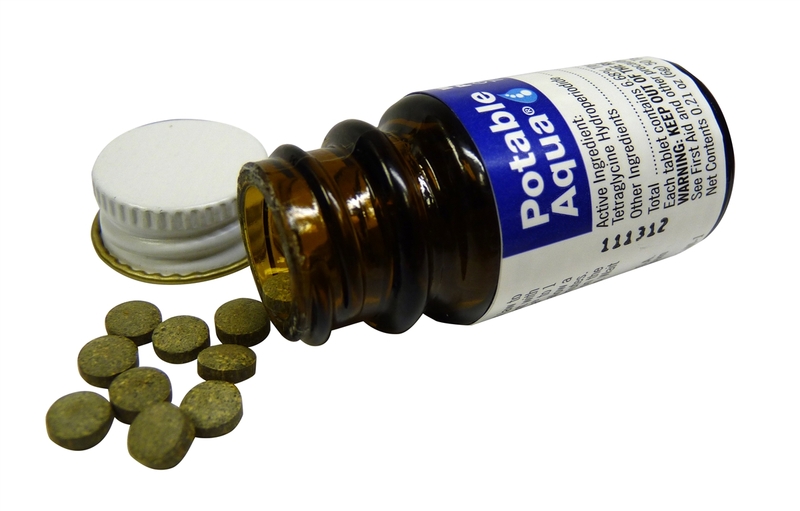 Though purification tablets are generally effective, they cannot eradicate all parasites, such as the extreme diarrhoea-causing cryptosporidium parasite found in water contaminated by infected faeces. If you don’t have pukka water-purification chemicals, you can use small amounts of household bleach. Needless to say, this isn’t the healthiest option − but in very low doses should not cause you any harm, and will kill most waterborne hazards. Pour approximately two drops of bleach into a litre of water, mix, and let rest for 30 minutes. You can safely double the amount of bleach if the water is badly tainted. Make sure you use only clear, unscented bleach. Although chemical disinfection can be very effective in reducing pathogens, the contact time, concentration, water temperature, water clarity and water PH all make a difference to its effectiveness. Make sure you follow the manufacturers’ recommendations on how to use their disinfection treatment system. For example, pregnant women should not drink water disinfected with iodine. This method uses an ultraviolet-emitting ‘wand’ to kill bacteria in the water. It’s a proven method of purifying clear water, but because it uses light, it won’t work in murky water − for obvious reasons. Make sure that you filter the water as much as possible to remove any debris that may cause shadows before you use the UV wand. In principle, a UV wand works well; but in reality, it’s hard to trust as a primary purification method. It does work well in conjunction with a filtration method. Ultra Violet water purifiers, including the SteriPEN, are available through camping and outdoor retailers. Camp and Climb sells the SteriPEN for R1750. If you don’t have access to an ultraviolet purification pen, leaving your water in transparent containers in direct sunlight for the course of a day should do the same job, though the reliability of this method is variable. Just as many of us discovered in school science classes, a DIY water filter is not only easy to make, but is very effective at filtering dirty water. Like a commercial ceramic filter, the DIY unit works by trapping impurities in layers of progressively smaller spaces. Cut the base off a plastic bottle, and fill one third of the bottle with charcoal. (Activated charcoal is much more effective than the stuff you buy for a braai). Then fill another third up with sand, and put about three centimetres of gravel on top of that to trap the large particles. Pouring water through this improvised filter will remove most impurities, including debris, mosquito larvae and eggs. Combined with boiling or ultra-violet purification, a DIY filter will remove practically all impurities − making even the worst water safe to drink. The ceramic filter consists of two parts: a receptacle and the filter itself. The filter element is made from an extremely porous ceramic element which rests inside the receptacle. Tiny pores in the ceramic allow water to pass through, while impurities are left behind in the receptacle. Ceramic filters typically block impurities larger than 0.2 microns in size. Impurities trapped in the top half of the receptacle must be removed periodically to prevent algae growth; this can be done with soap, hot water and a soft brush. The ceramic water filter is a relatively inexpensive and very common filter that is able to remove debris, dirt and bacteria from the water, but will not remove chemical contaminants or viruses. Some ceramic filters use activated charcoal in their design to reduce organic and metallic contaminants. Typically, ceramic filters use water pressure to push the untreated water through the porous filter element, producing clean water on the other side. Portable ceramic filters are extremely common and come in a huge variety of shapes and sizes − from large containers with built-in filter units, to the candle-size Life Straw that fits in your pocket, and which also uses activated charcoal. Water pressure for a ceramic filter can be created by a hand pump or an electric pump, and many households use a ceramic filter built into their taps. 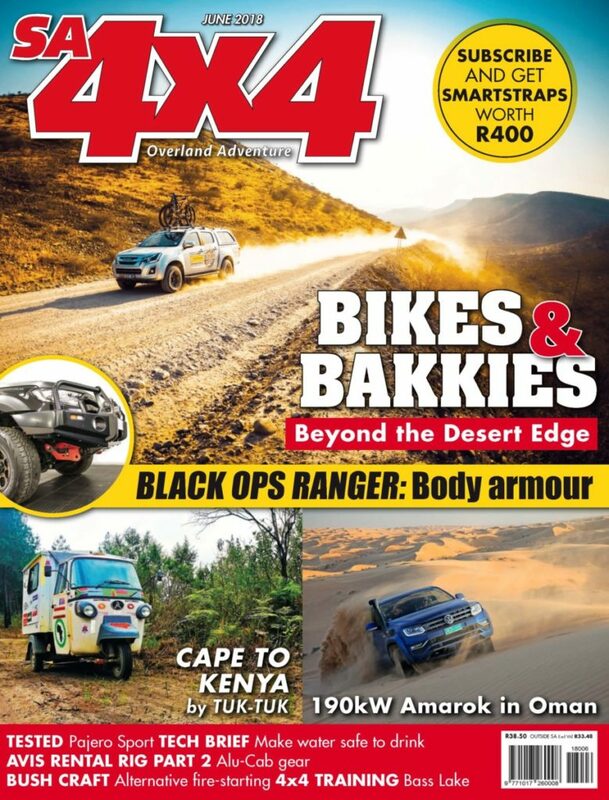 A similar system can be integrated into 4x4s, with Katadyn being a well-known brand name. Activated carbon (also known as activated charcoal) is carbon that’s processed under high-heat and low-oxygen conditions. 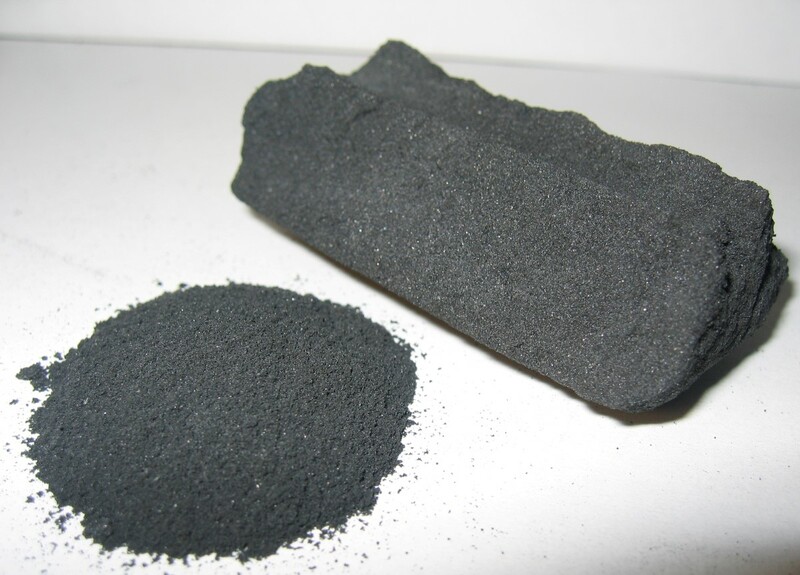 Coal, wood and coconut shells are some of the products used to make activated carbon, and, unlike the charcoal used to braai steaks, is lightweight and extremely porous. 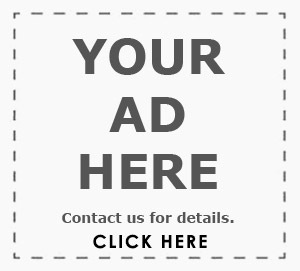 One gram of activated carbon has a surface area of over 3000 square metres. Filters are available in two versions: a brick of carbon or a granular type. Carbon filters work in a very similar way to ceramic filters, in that there is a receptacle for untreated water which is then forced through the filter element to appear on the other side as clean water. Like ceramic filters, carbon filters are effective in removing particles larger than 0.2 microns, but cannot remove chemical contaminants or salt. Using much higher pressure than with a ceramic filter, water is forced through an extremely dense membrane that filters out any particles, molecules or ions (including salt) as well as other chemicals, bacteria or viruses that may be present in the water. Portable reverse-osmosis filters work in the same way as industrial desalination units, but on a smaller scale and at a lower pressure − typically around 2-3 bar as opposed to over 80 bar. Reverse osmosis is extremely effective in clearing water of all impurities, but also has the side effect of removing up to 99% of the beneficial minerals in water, such as calcium and magnesium. Reverse osmosis water also tends to be slightly acidic, so regular consumption without treatment isn’t recommended. A unique and handy filtration system designed specifically for the overland traveller is Aqua Angel’s Pure Terrain system, which fits into a container resembling a Jerry can. Powered by the vehicle’s 12V supply, it’s able to provide ten litres per hour of filtered water. 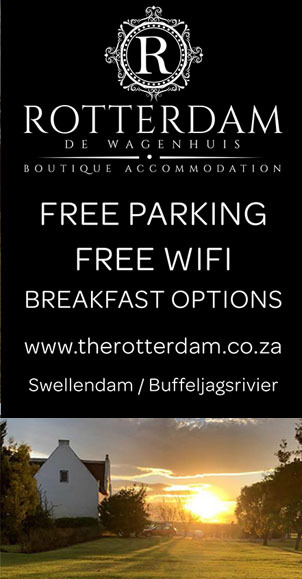 Visit www.aqua-angel.co.za for more information. The type of filtration system you should choose really depends on your application. If you’re travelling for only a few days, there is no need for any filtration as you can carry plenty of clean water on board. 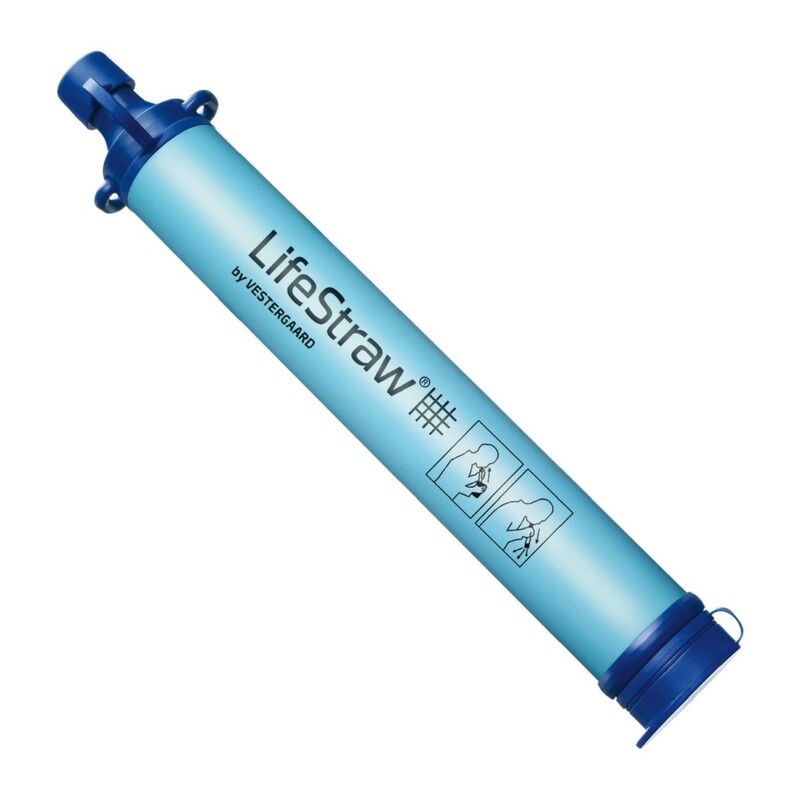 If you’re planning to travel through areas where you’ll be drinking from fast-flowing rivers and streams, a ceramic filter, or even just a life straw, could be all you need. Longer trips will require a more permanent water-filtration system. 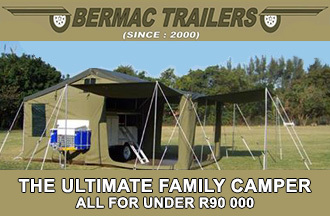 A simple solution used by many is a gravity feed from roof-mounted jerry cans. By first chlorinating the water in the jerry cans, and then feeding it through an activated carbon filter, you can be sure that the chlorine has killed any bacteria or viruses and that the carbon has filtered out any other impurities – including the chlorine which you added. For very dirty water sourced from muddy rivers and green ponds, it’s recommended that you not only filter it through fabric, but boil it before passing it through either a ceramic or an activated-carbon filter. Boiling water for as little as one minute kills 99.9% of bacteria protozoa and other pathogens, while deactivating viruses. For ease of use, you may consider using a built-in ceramic filter with a 12V pump. 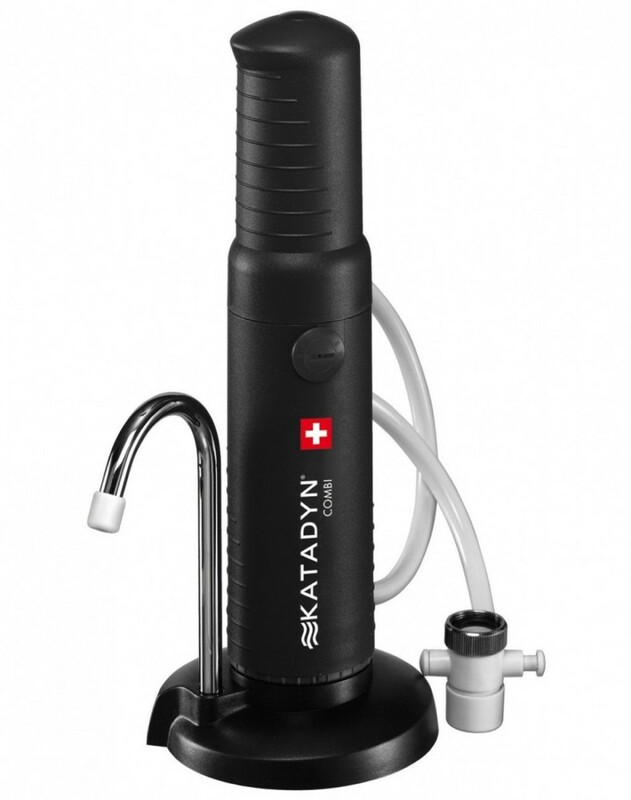 And a hand pump (and replaceable ceramic elements) should provide years of safe use. For added protection, you can sterilise the water with an ultraviolet purification wand like the SteriPen. The following pathogens are all sourced from human or animal faecal waste in a water source, and cause gastrointestinal distress which results in severe vomiting, cramps and diarrhoea. 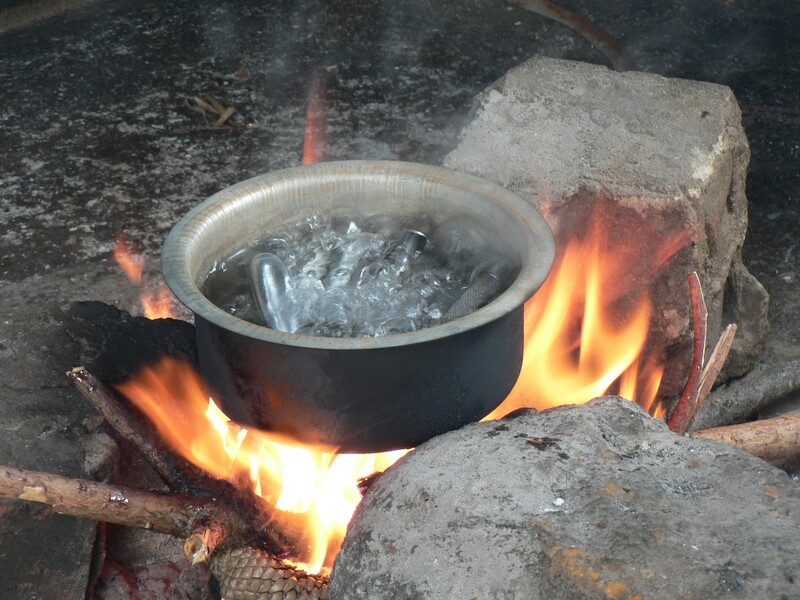 Boiling water before consumption is the most effective removal method, although a combination of chemical disinfection and a 1 micron filter is also effective. Chemical disinfection alone is not effective. Boiling is the most effective method of disinfection, although chlorine dioxide chemical treatment is also effective to a lesser extent. A combination of filtration through a one-micron filter and disinfection (chlorine dioxide) is almost as effective as boiling. Boiling is again the most effective method of pathogen removal; a filter would require pores of less than 0.3 microns to have any kind of effectiveness. Filtration through a <0.3 micron filter is effective, as is disinfection with iodine, chlorine or chlorine dioxide. Viruses are the smallest pathogen, so filtration through a carbon or ceramic filter will provide no protection from them. Disinfection with iodine, chlorine or chlorine dioxide is effective at killing most viruses, but boiling is still highly recommended.